Fucus vesiculous, or bladderwack, kelp and fucus seaweed, can help weight loss efforts and also provide a number of other health benefits. Although many of these benefits haven't been thoroughly tested or present only a minut change, fucus seadweed hasn't been suggested to hold any negative side effects and is generally safe for consumption. - Method to suppress the growth and continued development of cancerous cells. According to studies, fucus seaweed can help in all of the above but the evidence is not entirely conclusive. For the most part, many of these studies have been carried out on animal subjects and some human subjects, but not strenuously tested. Fucus seaweed used for weight loss is also highly advertised, especially in Asia, but there have been no conclusive studies suggesting that fucus seaweed helps weight loss. However, the positive properties of the plant make it safe to consume and could benefit the body positively. Particularly, the blood-thinning aspects of the seaweed and lowering of blood pressure could help weight loss efforts, but must be used in conjunction with a balanced diet and effective exercise routine. Although considered safe for consumption, consumers have been warned to check where they purchase their fucus seaweed from and where it is sourced. Fucus seaweed has the potential to be contaminated by heavy metals and, in some cases, over consumption can cause thyroid disruption so should be taken with care to how much is consumed. How should I take fucus seaweed? 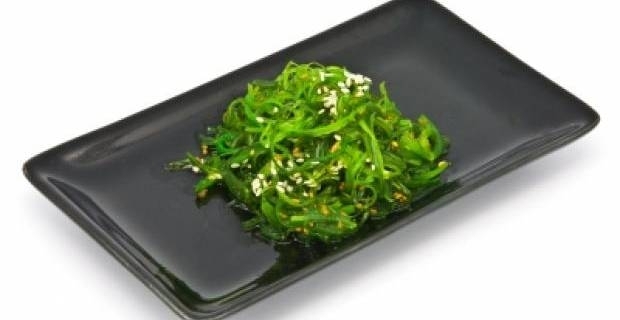 If you want to use fucus seaweed for weight loss purposes, you can purchase the seaweed to be eaten in foods, such as in salads, soups and stir fries, to help with a healthy, balanced diet. If you want to use fucus seaweed to improve your health or another condition, considering purchasing fucus seaweed supplements and taking only as directed on the packaging to avoid complications.